When it comes to plumbing the bathroom depends on it the most. You use the bathroom to use the toilet, wash your hands, take a shower, and more. That’s why when you’re considering a bathroom remodel it’s important you have an expert working on your bathroom plumbing. In older homes plumbing can be over decades old, and no longer up to code. At Benjamin Plumbing we have trained expert plumbers who are able to replace all your old plumbing and install new plumbing that is up to code. If you are building a new home you need a plumber who has experience working with new home construction contractors. At Benjamin Plumbing we are able to work directly with your construction contractor to provide you with the best finished product. We can place new pipes, drains, and fixtures wherever you need them to go to make your bathroom remodel perfect. When doing a bathroom remodel you have a vision of how you want it to look. Today there are so many options and choices when it comes to toilets, sinks, showers, and how you want the layout. Maybe you want a luxurious shower with multiple shower-heads or you want a bubble jet tub. Whatever you want Benjamin Plumbing can provide you with a dream bathroom remodel. We have been doing bathroom plumbing since 1962. 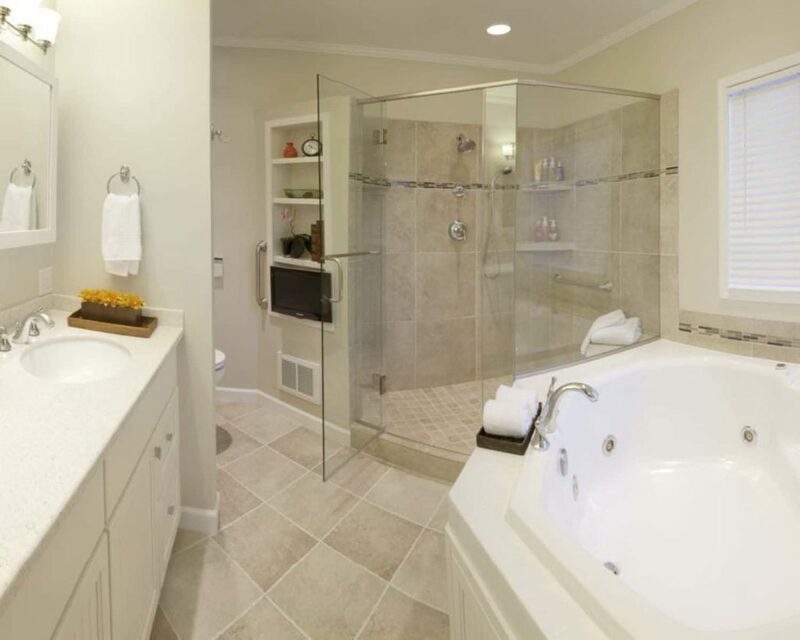 We can make the entire bathroom remodeling process go smoothly, and provide you with the bathroom of your dreams. At Benjamin Plumbing we stand by our work! We offer a One Year Warranty on all Fixtures, Parts & Labor supplied and installed by us, along with a 60 Day Warranty for repairs and a year warranty on installations. Additional warranties by the product manufacturer may also be available. Contact us for details.